In 2001, I was playing on the computer of someone who had a number of extra keys along the top of their keyboard. Simply by pressing the corresponding key, the extra keys allowed you to open your web browser, email client, or whatever you programmed them to do. I had seen keyboards like this before, but I'd never understood the appeal. I wanted to look up something, so to get to the web browser, I started making my way through the menus of software that were available on their computer. The owner suggested that I simply press the "Web" button, saying that Google was their browser's home page. Surely enough, I pressed the "Web" button, and Google popped up without delay. The convenience of those extra keys impressed me, and I thought about all the ways that they could make my computing life more efficient. For example, instead of having to look for a text editor to jot down a quick note, all I'd have to do is press one key, and then start typing. At the time, I'd been using an old IBM 101-key clicky keyboard for eleven years. What kept me using it for so long -- aside from the fact that it had always worked perfectly -- was that it had a layout that I couldn't find on most modern keyboards. The Backspace, backslash, Enter, and right Shift keys were all wider than most of the other keys, and none of those four were on the same row as each other. Other keyboards had large Enter keys that ate up the space of where the backslash would be, so I would very often press something unintentionally. Basically, the old keyboard's layout seemed more logical with regard to its ergonomics. Another thing I liked about my old keyboard was that it was very flat. Most modern keyboards were raised near the back, which I always thought was stupid because it doesn't fit the natural shape of human hands. They also had bulky parts that served no purpose, so they consumed more desk space than was necessary. I started looking for a keyboard that had both the layout I wanted and the extra keys along the top. My quest came to an end less than a minute later when I found a model by Logitech that perfectly matched what I wanted. The next day, I went out to a local computer store and bought a "Logitech Internet Navigator Keyboard". I took it home, and programmed each of the twenty extra keys using XBindKeys. The only thing that I didn't understand when I was preparing to buy it was why the Escape key was about one centimetre to the right. After a few days of using the keyboard, I realized that it made for better ergonomics, and I liked the change. My new keyboard was an excellent investment. A little more than a year later, I suggested to someone else that they get a keyboard like mine to help with their productivity. They took my advice, and soon bought a "Logitech Elite Keyboard". Their new keyboard was very similar to my own, except that it had something I had never heard of before: F-Lock. For longer than I've been alive, keyboards have had function keys (F1, F2, et cetera). Each function key has a different purpose, depending on what software you're using. Most software generally uses F1 as the help key, but developers are free to choose the key bindings they want. Function keys can also be combined with modifier keys like Control, Shift, or Alt, much like any other key. In FreeBSD, for example, you can press Alt+F1, Alt+F2, and so on to switch between virtual terminals. Some company decided one day that they thought each function key should be assigned a specific purpose, and that every program should use each function key the same way. Instead of simply changing the key bindings in their software (like changing the Save command from Ctrl+S to F8, for example) and printing their functions on the function keys, they opted for a ridiculous solution. Their idea was to replace the function keys with keys that required special software to give uniform functionality to each of their programs' key bindings. Despite how preposterous this idea was, other keyboard manufacturers followed suit. To not eliminate the function keys completely, a key called F-Lock was added. It can be pressed to make the "enhanced" function keys work like their traditional counterparts (F1, F2, et cetera). Even though this allows for backward compatibility, there are many problems to consider. F-Lock is a key, not a switch. Every time you power on your computer, the keyboard reverts to "enhanced" mode. This also happens when software like your operating system sends a signal to reset the keyboard. There's no way to permanently turn off "enhanced" mode without physically modifying the keyboard. Instead of adding new keys to the keyboard, an entire set of keys was replaced. In the case of NumLock, all the keys that exist on the number pad on the right side of a standard 101 or 104 key keyboard exist elsewhere. If you have NumLock turned on or off, you can still get the desired functionality by using another part of the keyboard. With F-Lock, if you want to use both the traditional function keys and the "enhanced" function keys, you have to toggle the F-Lock key each time, depending on what you want to use. Most software doesn't recognize the "enhanced" function keys. If you pressed the "Save" key expecting it to save the file you're working on, chances are that the program will completely ignore your keystroke and not save your file. For software to use "enhanced" function keys, it needs to have either the new key bindings programmed into it, or software that can translate the new keys into the program's traditional key binding. A lot of software, including most operating systems, use the traditional function keys for their own purposes. In software such as games and graphics programs, the function keys can be used to select different tools, views, or run macros. FreeBSD utilizes the numbers on the function keys to help the user remember which virtual terminal they're using (Alt+F1 for the first virtual terminal, Alt+F2 for the second virtual terminal, et cetera). A new version of the "Logitech Internet Navigator Keyboard" replaced one of the extra keys with an F-Lock key. The key that used to be there could be programmed to do whatever you wanted, but now it's needed to toggle "enhanced" mode. 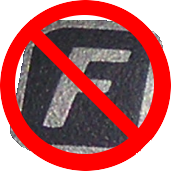 Logitech stopped manufacturing keyboards that do not have F-Lock. Worried my keyboard would one day cease to function and that I'd be unable to get a non-F-Lock replacement, I contacted Logitech to order some more Logitech Internet Navigator Keyboards (P/N: 867150-0100). All they had available was the revised model that replaced the "Finance" key with an F-Lock key. When buying a new computer or a replacement keyboard, ask for a model that doesn't have F-Lock. If the vendor can't supply you with one, take your business elsewhere. Commercial hardware manufacturers listen with their wallets. If they see that no one is buying their products, profits will fall, and they will have to take another look at their customer base. If you find a keyboard that you like but don't want to deal with F-Lock, contact the manufacturer and ask if they sell a model that doesn't have "enhanced" function keys. The more people who request an alternative, the more likely the manufacturer will listen. Should one of Logitech's keyboards interest you (or you just want to be annoying), their toll-free telephone number is 1-800-231-7717. Ask the representative if they sell keyboards that do not use F-Lock or "enhanced" function keys. I asked someone I know to send a picture of their F-Lock key for me to use in my "I Hate F-Lock" logo. In their file browser, they prefer to press F2 to rename files as opposed to navigating through the menu system. They pressed F2 to rename the file from their digital camera's automatically generated name to something more appropriate. After a few seconds of waiting for something to happen, they realized that F-Lock was turned off. Making this one web page resulted in someone's frustration with "enhanced" function keys. Imagine how annoying it would be in a larger project.